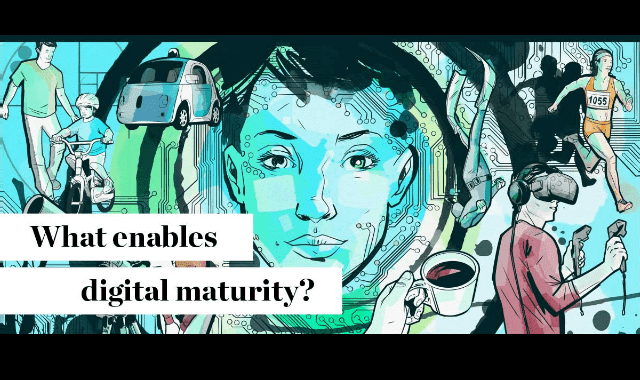 What Enables Digital Maturity? #Infographic ~ Visualistan '+g+"
“Achieving Digital Maturity: Adapting Your Company to a Changing World,” the 2017 global report on digital business by MIT Sloan Management Review and Deloitte, examines the processes, structures, and cultures of successful digitally maturing organizations across industries. Our study finds that digitally maturing businesses achieve success by increasing collaboration, scaling innovation, and revamping their approach to talent. Take a look!